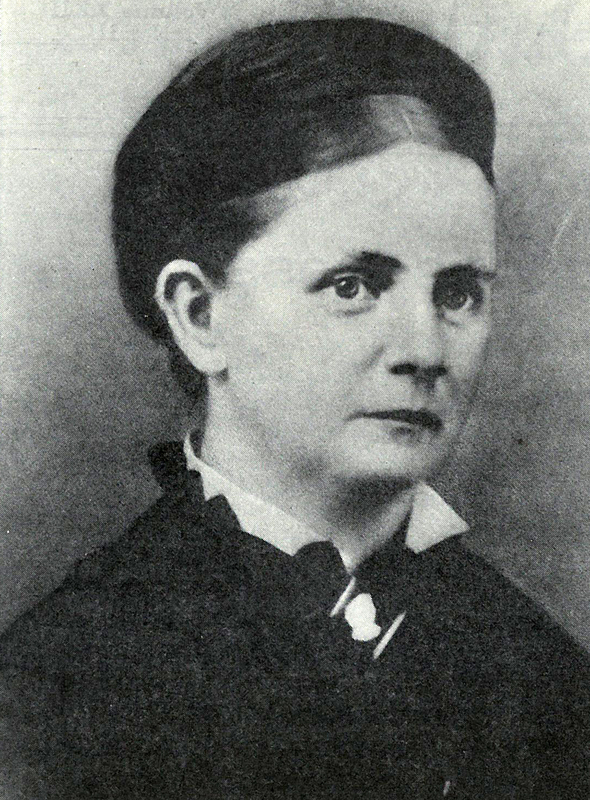 Mary Isabella McClellan Lambuth, wife of James W. Lambuth, mother of Walter R. Lambuth and Nora Lambuth Park, missionary to China and Japan with a career spanning more than 50 years. Mary Isabella McClellan, from the Hudson River Valley of New York, first met the Lambuth clan in Mississippi at the age of 20, when she became governess for the J. R. Lambuth and Pettus families on adjoining plantations. The Rev. J. R. Lambuth was an early missionary to Native American peoples in the formation of the Indian Missionary Conference of the Methodist Episcopal Church, South. It is said that when his son, James W. Lambuth, was born, the Rev. consecrated him to mission service from the beginning. Before James W. Lambuth entered missionary service, he married Mary McClellan. When she and her betrothed attended an annual conference missionary meeting in Canton, Mississippi, she wrote a pledge on a folded slip of paper and placed it in the offering basket: “I give five dollars and myself for work in China.” Mary became an invaluable asset to the mission endeavors in both China and Japan. J.W. and Mary Lambuth sailed for China in 1853 to begin work in 1854. This was before the MECS had organized their Woman’s Missionary Society. Mary accompanied her husband to China basically as a mission volunteer—for 35 years she received neither title nor payment for her service. Not until the last 15 years of her service was she recognized as a missionary in her own right. Mary was described as “having rare sagacity, wonderful strength of will, unusual organizing ability, calm self-control, wonderful capacity for continuous work, and a refusal to be discouraged,” in a 1932 article by W. E. Towson, a fellow missionary who worked with the Lambuths in Japan in the 1890s. Mary Lambuth founded the Clopton School, later renamed the Clopton-Lambuth School, in Shanghai. At first, they could not afford classroom space, so Mary opened the school in her home and taught the Chinese children with her baby son, Walter, on a pallet in the middle of them. In a few years, Walter was joined by siblings Nettie, Nora, and Robert. In 1886, J.W. and Mary Lambuth and their son Walter, who had received secondary and graduate education in the United States and had returned to China as a pastor and medical doctor, were asked to open work for the MECS in Japan. They started out in Kobe but moved to establish missions in other cities. Mary opened the Hiroshima Girls School as well as the Lambuth Training School for Christian Workers in Osaka. She learned the Japanese language in addition to Chinese, taught English, Bible, sewing, and cooking, received visitors, hosted other missionary families, and kept up a lively correspondence with churches in the United States. She died in China in 1904 and was buried in Shanghai. By Christie R. House, Editor, New World Outlook magazine. “Mrs. Mary Isabella Lambuth,” by W. E. Towson, World Outlook, November 1932. “Pioneering the Gospel,” by Walter R. Lambuth, Missionary Voice, September 1920.